This is a matching program and menu set. 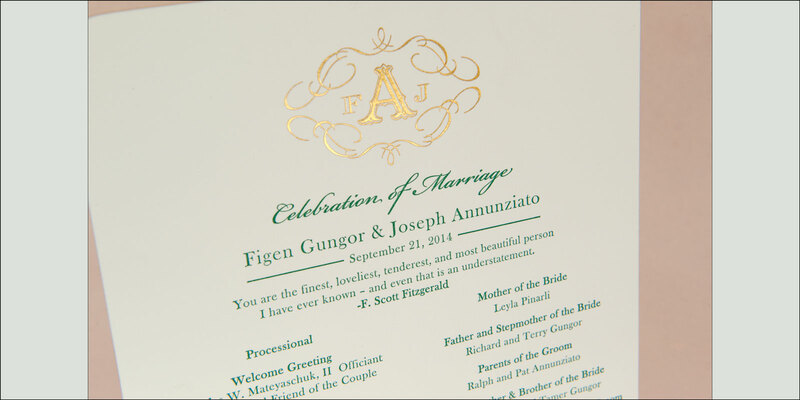 The sizes and specifications are exactly the same, which is a great touch you can incorporate to tie your ceremony directly into your reception. 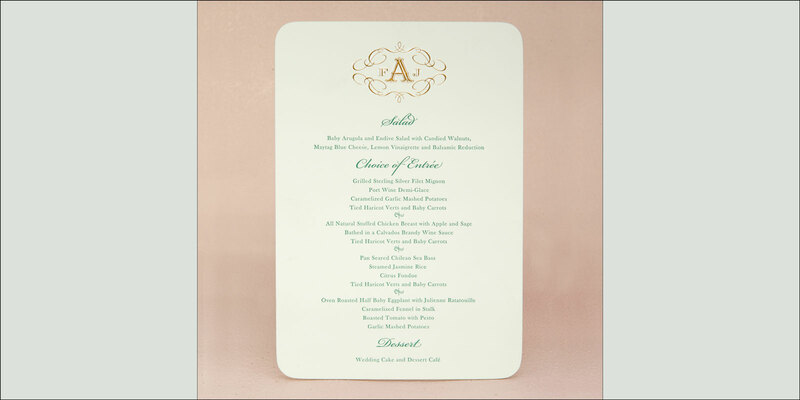 The emerald green and gold are visually striking, while also maintaining a traditional look. The rounded corners add a unique touch to these pieces. 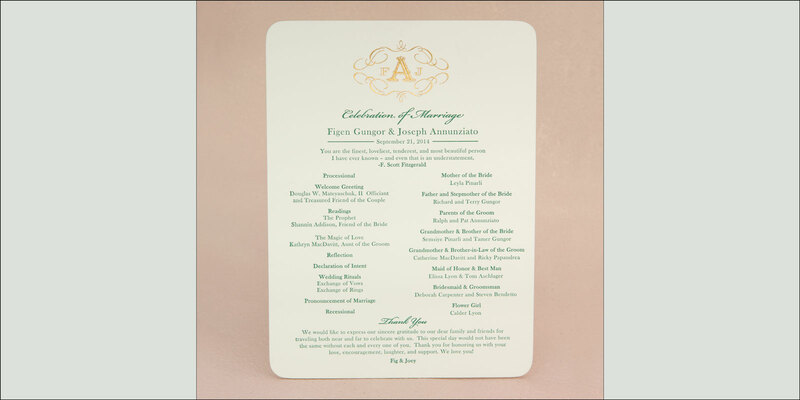 These menus and programs may be customized in nearly infinite ways to suit your needs. 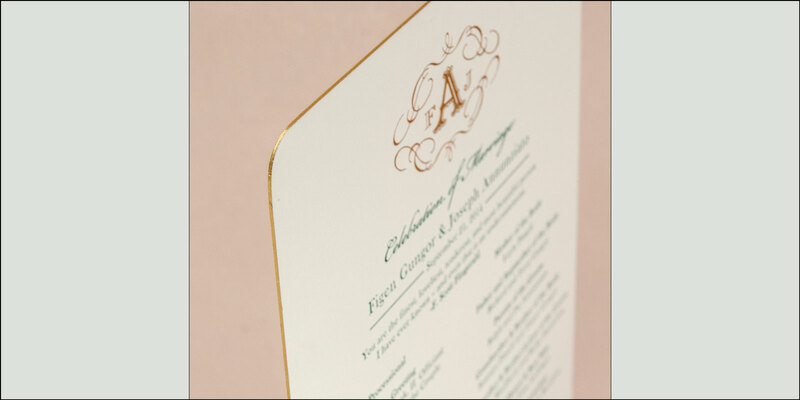 Colors, sizes, paper options, printing styles, finishing techniques and fonts are just some of the aspects of our wedding day accessories that you have control over. There are no limits to where your imagination can take you.